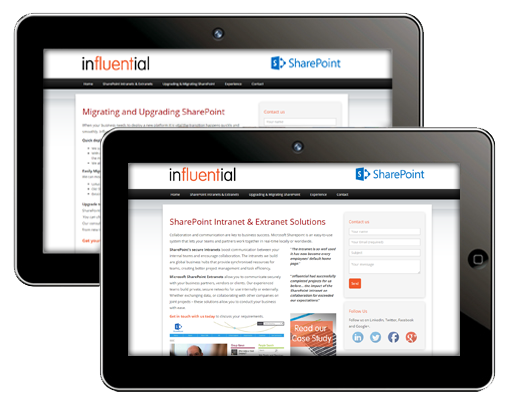 For anyone planning to implement or upgrade a Microsoft SharePoint intranet/extranet, Influential’s SharePoint consultancy team is ready to help and you can now find the info about our services on Influential’s new SharePoint website – http://www.sharepoint-influential.com/. 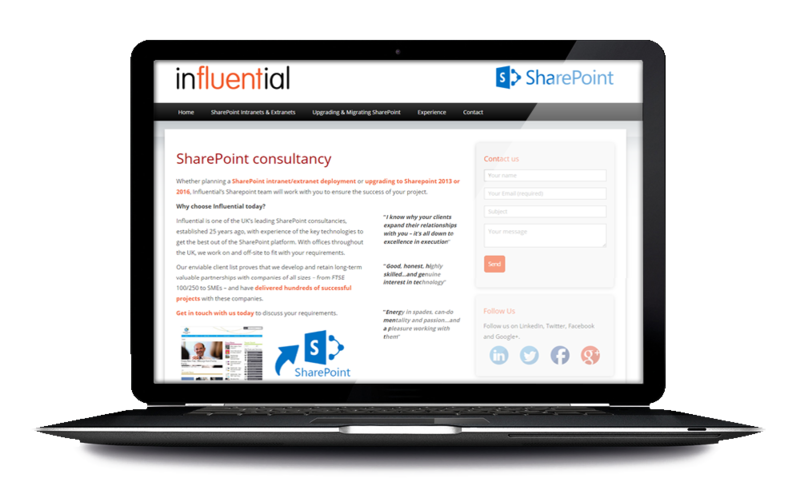 Our 25 years of experience in the software industry have given us all the tools needed to get the best out of the Microsoft SharePoint platform, and we’re proud to be considered one of the leading SharePoint consultancies in the UK. Microsoft SharePoint will improve communication and collaboration within your business and Influential will help you get there with ease. We can migrate to SharePoint from almost any platform seamlessly and have a wealth of experience upgrading from previous SharePoint versions.